This post is in partnership with Aveeno Baby Suncare at Walmart. Thank you for supporting the brands that help make Bubby and Bean possible. 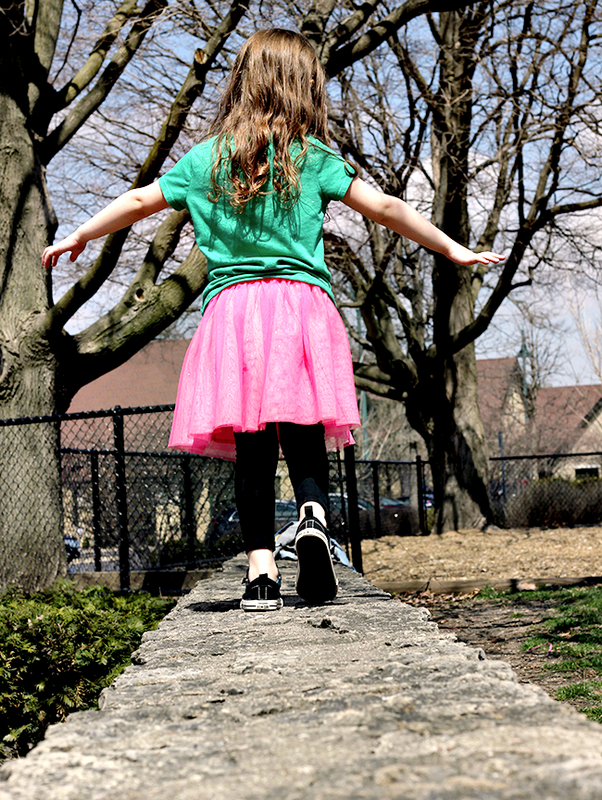 After what felt like the longest winter we've ever experienced here in Chicagoland (I mean, it snowed in late April), we are basking in the early summer sunshine like you wouldn't believe. 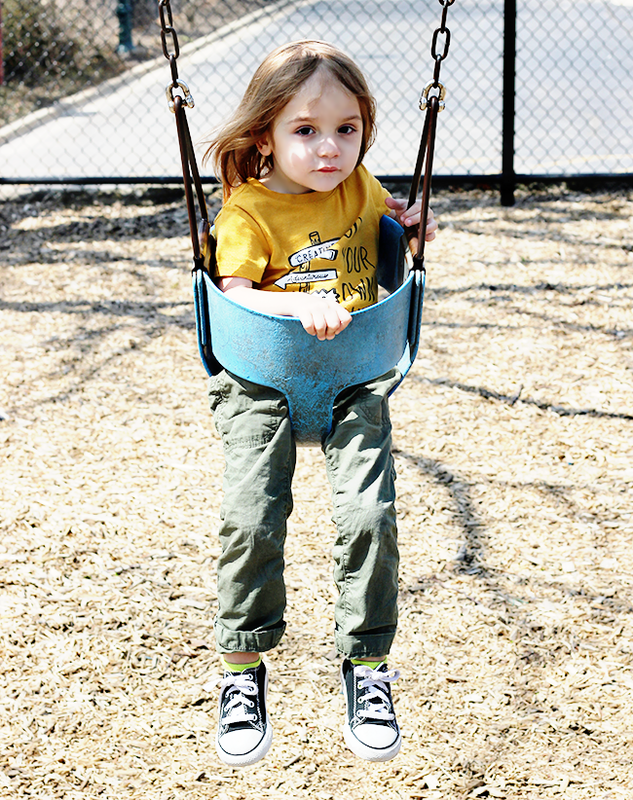 My little ones want to be outside incessantly, and I don't blame them. There is something truly magical about these first days of being able to enjoy the outdoors again. No matter where my kids are - from school to activities to their grandparents' houses to at home - they are outside. 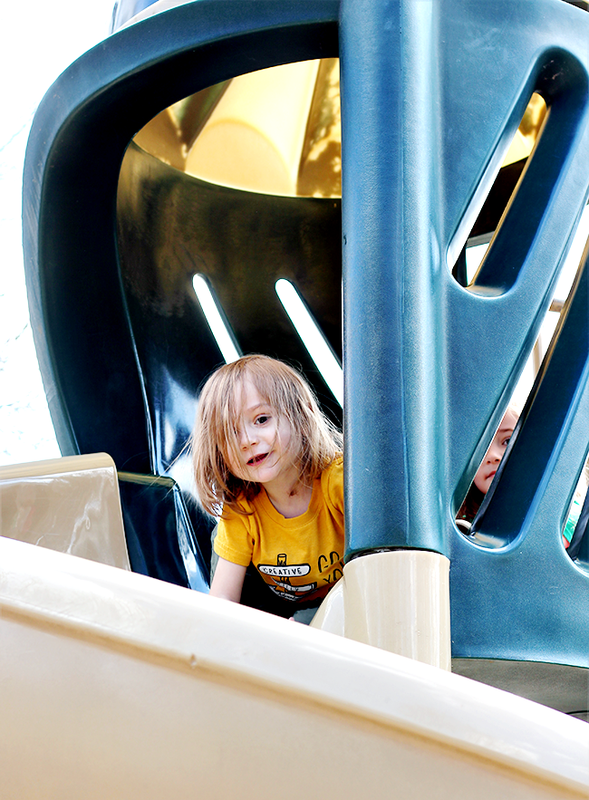 And they've been going to their favorite outdoor place of all - the park - almost everyday. It's making all of us incredibly excited for summertime (which officially begins on Thursday!) and all of the adventures we'll get to have in the sun. All of this early summer outdoor time has also been a great reminder for me to start focusing on suncare for the season and protecting their skin from the sun's harmful ways. 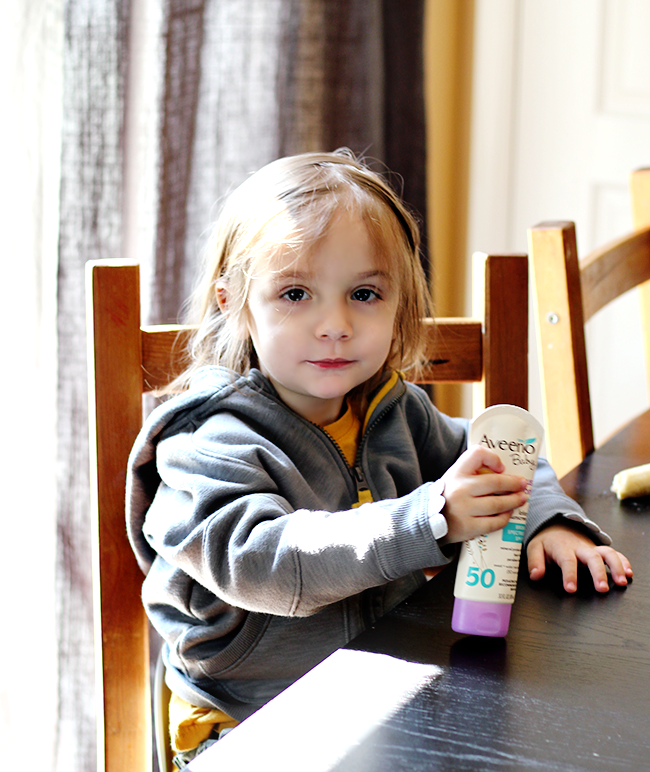 Essley had an injury at school a few months ago that left a small scar on her face, and her pediatrician told us that the absolute best thing we could do for it was to use a gentle sunscreen on it like AVEENO® Baby CONTINUOUS PROTECTION Sunscreen Lotion with Broad Spectrum SPF 50 daily. So while sunscreen is already something we've started using for the year, I've really been making a conscious effort lately for each of us to have a bottle on hand at all times. 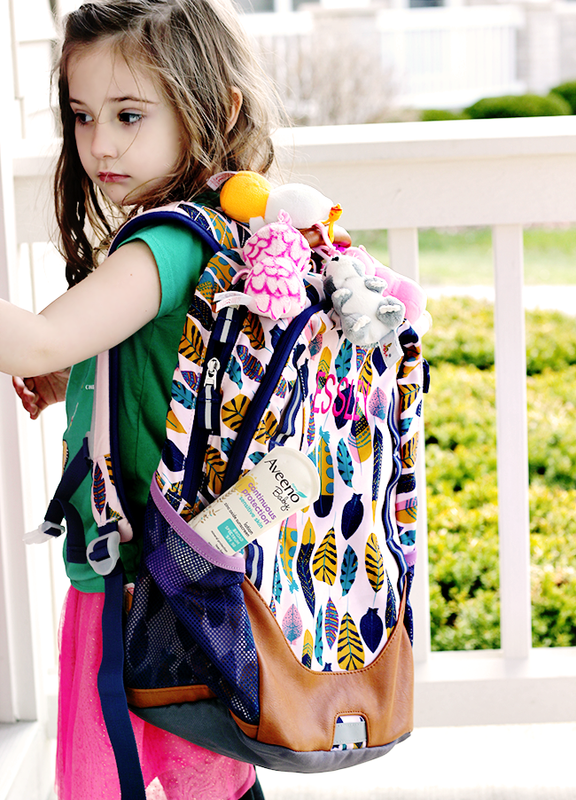 Essley keeps a bottle in her backpack for school and activities, I keep one in the car for playdates and park visits, and we keep bottles at the grandparents' houses too. 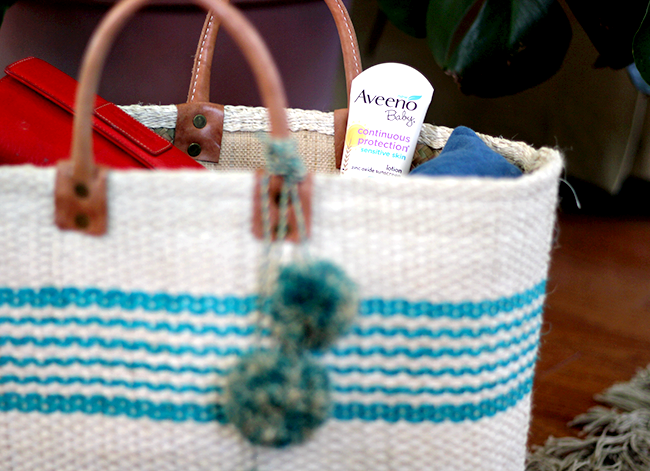 When it comes to protecting my babe's skin with sunscreen, there are all sorts of reasons I use AVEENO® Baby CONTINUOUS PROTECTION Sunscreen Lotion with Broad Spectrum SPF 50 (beyond just the obvious fact that it was recommended by our pediatrician). First of all it's effective but still natural - with 100% mineral sun blockers and 100% Zinc-Oxide UVA/UVB mineral protection. It's hypoallergenic, free of parabens, phthalates, dyes and fragrance, and given National Eczema Association Seal of Acceptance (and as an eczema sufferer myself, this is a big one). 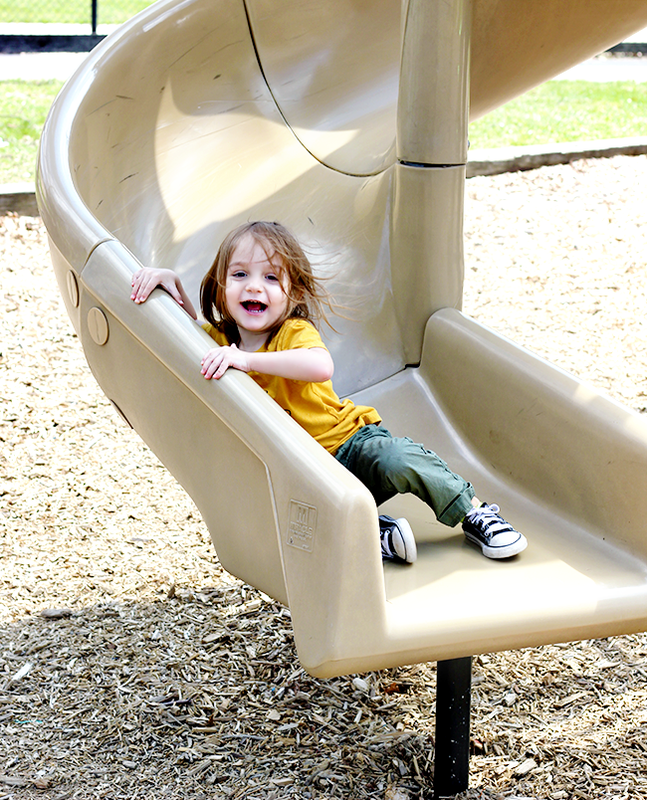 It's also tear-free so I don't have to worry when applying it to their faces, and has a gentle, non-whitening formula that applies easily without stinging - which is great when I'm basically having to put it on at the speed of light while they're frantically trying to get to the slide or swings. And I love that it looks in moisture, and has its special ACTIVE NATURALS® Oat formula that soothes and nourishes my little ones' skin rather than irritating us. It's a no brainer for me. As soon as the sunshine hit in April, I stocked up on the twin packs at Walmart (with the $5 savings Ibotta offer, woot!) so we can have them with us no matter where we go. Knowing my kids' skin is protected every time they're outside now, I feel like I can really sit back and just enjoy watching them have fun in the sun. 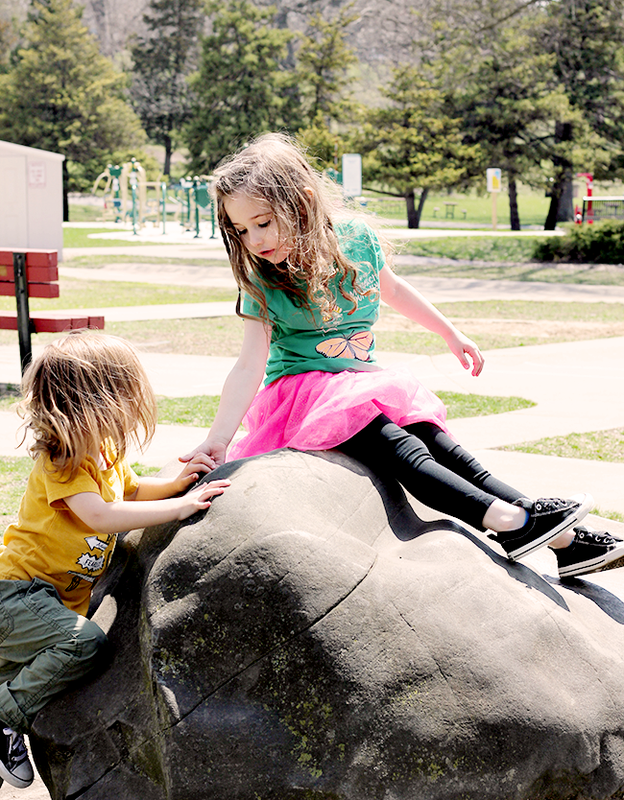 My husband and I had the best time watching them laugh and chase each other and just be kids at the park the other day, and it led to us sharing some of our own favorite childhood memories of outdoor play time in the summertime. One of my greatest hopes for my kids is that they are able to create the same wonderful childhood memories that we did during this magical time of the year. It's early in the season, but so far, I think they're doing just that.